Science Applications International Corp. has hired Douglas Wiltsie, a former civilian Army official, as vice president of operations for its Defense Systems Customer Group. In this role, Wiltsie will oversee programs, support business development and manage several key customer relationships, according to a company announcement. As the head for the U.S. Army Services and Mission Support operation, Wiltsie will lead efforts in intelligence and sensor integration, enterprise services and IT modernization, and C4ISR services and solutions. Wiltsie will report to Jim Scanlon, SAIC executive vice president and general manager of the Defense Systems Customer Group. “We are excited to welcome Doug to the SAIC team and look forward to growing our defense business and keep our momentum going,” Scanlon said. “He is a great asset to the team and brings insight and expertise to our organization. In his role at the Army, Wiltsie served as a member of the Senior Executive Service and established the Army Rapid Capability Office. The office’s mission was to address strategic gaps defined by the combatant commanders and then use incremental development and rapid prototyping to field solutions. 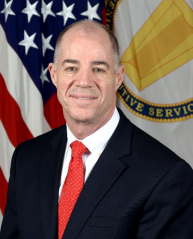 During his extensive Army career, Wiltsie also held a number of other roles, including executive director of the System of Systems Engineering and Integration Directorate within the Office of the Assistant Secretary of the U.S. Army for Acquisition, Logistics and Technology. He is a recipient of the Meritorious Civilian Service Award and was twice awarded the Superior Civilian Service Award and the Commander’s Award for Civilian Service. At SAIC, Wiltsie will work closely with Gabe Camarillo, SAIC vice president of strategy and planning for the defense group, who joined the company serving as the No. 2 acquisition official for the U.S. Army.